OK NYC, ambulance Once again, sale the Boys are back in Brooklyn for some bowling and some good music, at our Monthly Party called THIS FRIDAY. BUT THIS TIME AROUND – If you come thru with FOUR (that’s the Number 4) Friends, you and your buddies can win a whole bunch of goodies . THIS FRIDAY! 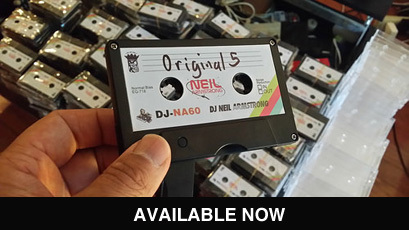 with DJ Neil Armstrong & Josh Madden – May 6th from levi maestro on Vimeo. That went by Pretty Fast NO??? Ok, let’s recap. 1) Come to Brooklyn Bowl with 4 of your friends . You can of course come with more then 4. we wont stop you at the door if you got 5. 2) COME FIND one of US three Amigos – Levi, Josh , or myself Neil Armstrong roaming around at Brooklyn Bowl… HINT – we’ll most likely be at the DJ Booth. 5 – thats right – 1,2,3,4,FIVE infinity pieces – One for you and all of your buddies who come with ya. And Finally – A SIGNED set of DJ Neil Armstrong CDS. 13 cds in all – Original, 2 Original, Nonstop , Sweeet, BitterSweeet, Smoove, Warmfuzzy, ExtraOrdinary, Filthy, Oscillate Wildly, Certified Majestic 1 , Certified Majestic Part 2, and Sweeet Part 2. Just make bootleg copies for the rest of your four friends. Come on y’all. Good music, Bowling, beautiful people , and a whole bunch of great gifts for you and your entourage.